The purpose of the Promise Banquet is to raise funds for tuition assistance and other programs while informing the community about the outstanding Christian education at True Light Christian School. For several years we have enjoyed a delicious meal, provided a glimpse of what the school has to offer, and concluded the evening with a guest speaker. Reservations are required through the school office. The 2019 Promise Banquet is coming up soon! If you've attended recently, expect invitations in early February. If you would like to request an invitation or would like one sent to someone, please fill out this form. Reservations are required, so please are RSVP to us by March 1st. Event details are below. Alan Robertson grew up hunting, fishing, and helping build the family business in the 1970s and 1980s. He left Duck Commander when he received the call for ministry in 1988 and served as a senior pastor in West Monroe, Louisiana until 2012, when he rejoined the Duck Commander clan. He received an associate's degree from White's Ferry Road School of Biblical Studies and a bachelor's degree in ministry from Sunset International Bible Institute. 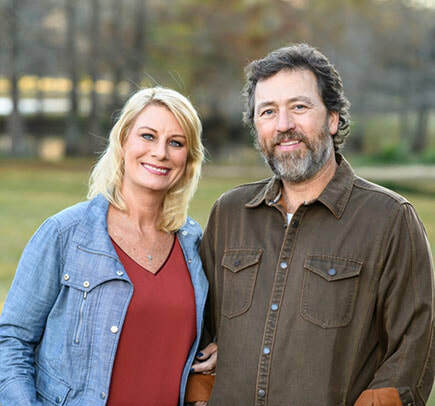 Alan and Lisa are the authors of A New Season: A Robertson Family Love Story of Brokenness and Redemption. They reside in West Monroe, Louisiana with their two grown daughters and two grandchildren. 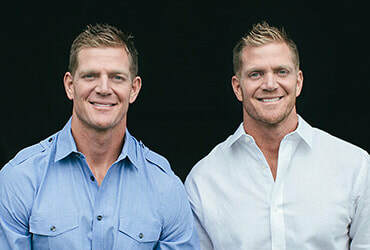 2018 – The Benham Brothers shared their commitment to Biblical values despite popular culture and the business world's pressures. 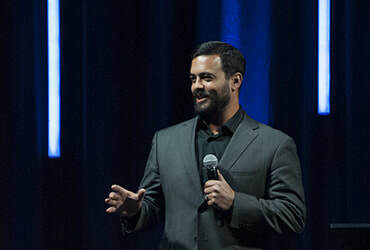 2017 – Chad Williams shared his experiences as a Navy SEAL on mental toughness, discipline, teamwork, leadership, safety, and motivation and how God can carry you through tough situations. ​2016 – The Skit Guys shared God’s Word through comedy and drama. 2015 – Todd Gongwer shared his passion for everyone to, Lead…for God’s Sake! 2014 – Josh McDowell challenged us with statistics and the effects of media on this generation. 2013 – Alex Kendrick inspired many by his testimony in producing movies and challenged all at a personal level to pursue a true heart relationship with our Lord. 2011 – Ken Davis reminded us to Lighten Up and that each human interaction as well as our time on Earth is precious and should be enjoyed with the humor each day brings. 2010 – Kirk Cameron brought the Promise Banquet to a whole new level of excitement and attendance. Over 600 people came to see the actor best known for playing Mike Seaver on Growing Pains. He spoke of how to Fireproof your marriage. 2009 – Dave Dravecky followed the next year with his amazing story of making it to the Major Leagues, battling cancer, fighting his way back to the Major Leagues, only to break his arm during a pitch. Dravecky’s career ended when they amputated his arm. ​2008 – Michael Reagan headlined the first annual Promise Banquet in March of 2008. Reagan entertained the crowd with humorous stories and tragic events from his life, a life with the same title as his book, Growing Up Reagan.